One of the easiest ways of earning money is through buying a franchise, so here are best franchises to own under 50K in 2017. Some people have heard of franchising, but aren’t quite sure what it represents or how to define it. 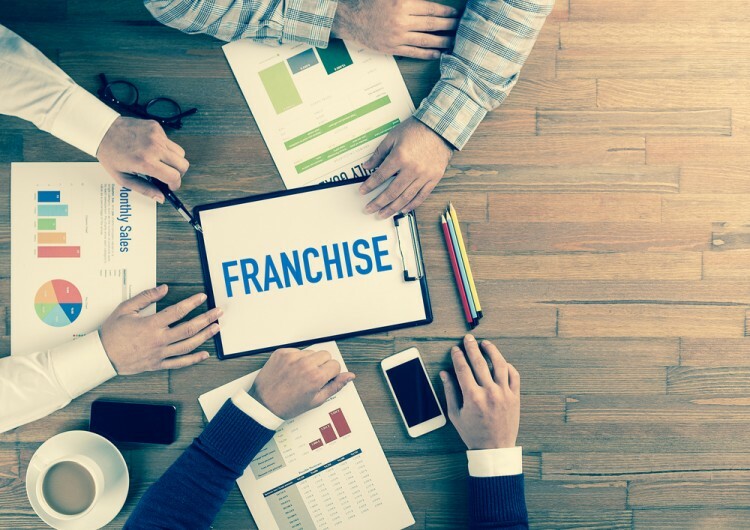 A franchise business is a type of business in which its owners sell their rights to the business logo, name, and model to the third party (the third party is anyone who wasn’t involved in the starting of that company). The company which is expanding its business is called a franchiser, and the person buying it is called the franchisee. Why is franchising business the best business to start with 50K? There are several good reasons for it. First, you’re buying a system that works. All the rules are set, and the most suitable equipment is provided for you. One may wonder: But, wait, what if I don’t know how to run a company, even the smallest one? Once again, franchising is making everything easier for you. Free education and training are offered to all franchisees. It is true that you have to give a part of your revenues to the franchiser, but at least you can rightfully expect some as opposed to starting your own business from scratch. Famous franchises have a good reputation, and customers continue returning for one simple reason. Every franchise is the same, i.e., the McDonald’s burger in the USA is the same as the one in Europe. Indeed, McDonald’s, 7-eleven, Dunkin’ Donuts, Subway- these are all worldwide successful franchising business. Once upon a time, they were just low-cost franchise opportunities, while today they are considered the best franchises in 2017. These are certainly most profitable franchises, but the tricky part is the investment. If you wish to sell world renowned cheeseburgers, a McDonald’s license will cost you about $1,000,000. And that is the minimum price. Should you want to open a 7-eleven store, you need only $37,000 for it. However, the maximum investment that can be required is $1,6M. So we might pass on that one as well. If you’ve got money to burn, check out the list of most profitable franchises to buy in 2017. But if money is the issue here, you may have already checked best franchises under 50K for 2016 in our article about most profitable franchises under 50K. For the best franchises under 50K for 2015, check out the Entrepreneur’s article. However, the year is 2017 so let’s see how you can get your money’s worth by analyzing best franchises to own under 50K in 2017. First, we checked the trends for the current year at Burgerim, CNBC, and BizCommunity. The markets are constantly changing, and it is of extreme importance to be up to date with the latest demands. As it appears, the most profitable franchises are in the areas of fast food, maintenance, accommodation, home improvement, education, childcare services, property and real estate, fitness, auto maintenance, computer related business, and experiences. The last category especially concerns millennials. According to the United States Census Bureau report for 2015, they have definitely outnumbered the Baby Boom generation since they make one-quarter of the US population (83.1 million). To make the matters clear, millennials are born between 1982 and 2000. Therefore, the so-called Generation Y is a serious force to deal with if you are opening a franchise in the US. However, we could say due to the effect of globalization and consumer trends that those generations have similar needs in all countries. Their current need is the experience. It’s no longer desirable to own the most expensive car or a gadget. Everyone wants a travel, a one of a kind experience to be shared on social networks. Sounds familiar? Having established the ongoing trends for 2017, we visited Entrepreneur and their list of best franchises in 2017. After finding the most successful franchises which match the contemporary trends, we compared the required investments to find business for sale under 50K. You will be glad to know that there are plenty of them. They are ranked in our list from the most expensive to the cheapest, i.e., from the one whose initial investment is the highest, to the one whose primary investment is the lowest. We are also providing you with the highest possible price you can pay for it, but it never exceeds $50,000. In cases when two franchise opportunities had the same minimum investment, we ranked higher the one whose maximum cost was lower. Now let’s see which one out of best franchises to own under 50K in 2017 would be most convenient for you to start a business. Whichever you choose, we’re sure it will be a success.